I watched Young Victoria last night, starring Emily Blunt and Rupert Friend. It was right up my alley in terms of a romantic movie. The old fashioned wardrobe, the men who acted like gentlemen, the dancing, the manners, the speech, and most important of all, the romance. The film is largely based on Queen Victoria’s rise to throne when her uncle King William IV dies. It’s mostly a fluffy sort of film, the most drama coming from the abuse she endured as a child. Not physical, not even verbal. She was cut off from the outside world, brainwashed by her mom and uncle, so that when she was to reign, they were to be power. The film showed the cleverness that this girl had possessed even from an early age, and her NEED to sail her ship her own way. In the extra features, Emily Blunt made the comment that Albert was Queen Victoria’s greatest achievement. If the movie stuck to reality, then I must say that I am very jealous of the relationship she had with Prince Albert. In true, fluffy romantic fashion, Prince Albert was all in one her cornerstone and her champion. He knew when to step in, and when to step back and just be there for her. She returned the affections. To be cut off in the prime of life. To see our pure, happy, quiet domestic life which alone allowed me to bare me much disliked position. Cut off at 2, when I’d hoped with so much instinctive certainty that God never would part us and would let us grow old together is too awful, too cruel. They had reigned together for 20 years. Prince Albert passed away at the age of 42. For the remainder of her reign, she had his clothes laid out daily. She reigned until her death at the age of 81 – 40 years after the passing of Albert. Queen Victoria: [sobbing] I’m so sorry! I thought I was going to lose you! Prince Albert: I don’t think he was a very good shot. Queen Victoria: Why did you do it? So stupid, why did you do it? Prince Albert: I had two very good reasons. First, I am replaceable and you are not. Queen Victoria: You are not replaceable to me! Prince Albert: Second, you’re the only wife I’ve got or ever will have. You are my whole existence, and I will love you until my very last breath. I do recommend this movie. It opens up a more personal window into the lives of the Royals. The Queen was great, but very bland, and very stoic. Young Victoria adds that youthfulness and playfulness that we generally don’t associate with the British Monarchy. 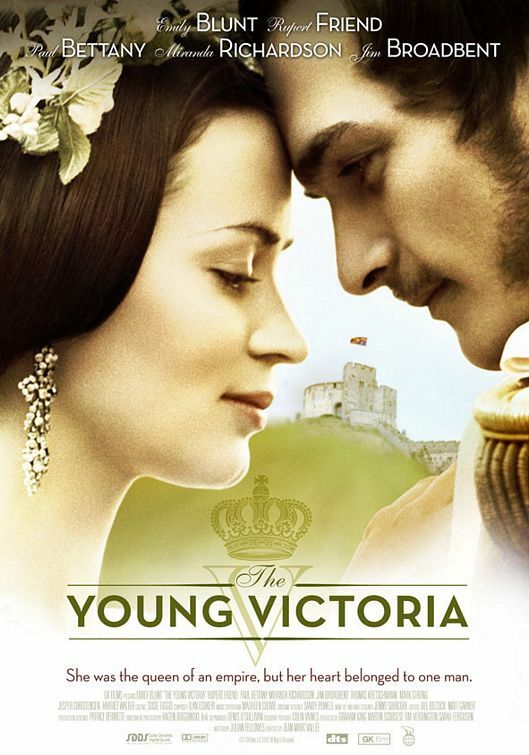 If you watched Pride and Prejudice with Keira Knightley (Rupert Friend was in that too as Mr Wickham), and liked it…GO WATCH YOUNG VICTORIA NOW!